In May 2009, whilst fundraising for Help for Heroes, ex-Infantry Officer Hugh Andrée wondered what more he could do to help service leavers. Having made the transition from the Armed Forces to civilian life some twelve years earlier, he remembered all too well the uncertainties and loneliness that confronted him. It seemed obvious that there was an opportunity to provide both service leavers and working veterans with a recruitment offering and support system that was tailored to look after their specific needs, and was staffed by individuals who had served in the Forces and successfully made the transition into civilian life. In August 2009, ForceSelect was delighted when Andy McNab DCM MM agreed to join as a Director of ForceSelect. Since leaving the Army in 1993, Andy has gone on to become one of the most successful British writers of our generation as well as a successful businessman and investor. General Sir Mike Jackson GCB CBE DSO DL, former Chief of the General Staff, later joined as a Non-Executive Director. ForceSelect has a team of highly experienced recruitment professionals and ex-service personnel who provide the necessary understanding and guidance to both jobseekers and employers. It is our intention that Forces personnel, the MoD, service charities and the wider business community benefit from the services provided by ForceSelect. In July 2011 ForceSelect won the Best Newcomer Award (UK) at the prestigious Recruiter Awards for Excellence and we have more recently won Enterprise of the Year 2013 at the Immigration Awards and been identified as ‘One of the UK’s Brightest New Businesses’ by Startups. ForceSelect was shortlisted in 2014 by the Recruiter Awards for Excellence for Best Candidate Care. 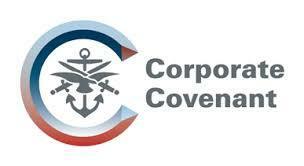 ForceSelect is also an approved signatory to the Armed Forces Corporate Covenant.